Posted January 21, 2019 by Sarah Lederle & filed under . One of the staple returnees at the Pedigree Stage Stop Race is Chris Adkins. 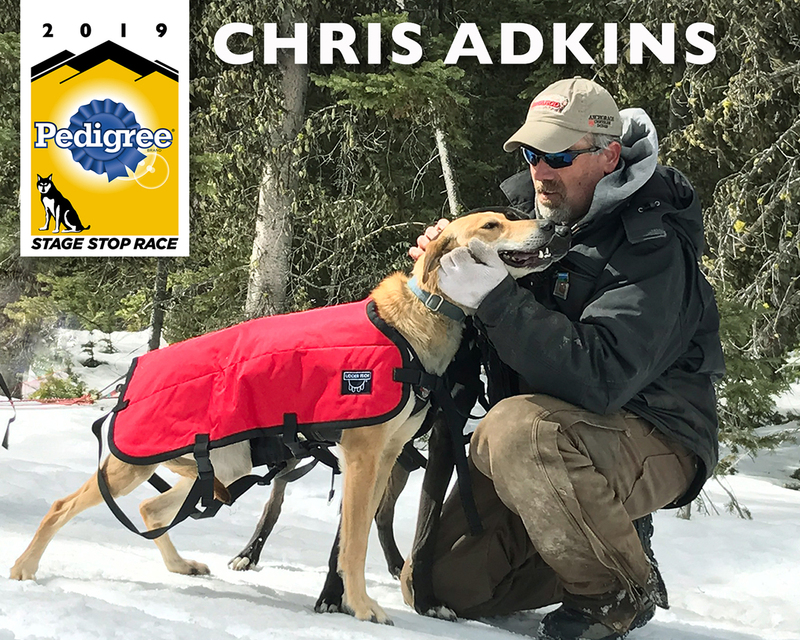 Adkins is an Iditarod finisher and also is a staple in Montana’s Race to the Sky. A lifelong musher, Adkins began working with his father, Terry Adkins, and his dog team at the age of four. 2019 marks his fifth year competing here in Wyoming. He is from Sand Coulee, MT. Chris will begin his trek to Wyoming January 23 and has a school presentation on that same day in Driggs, ID. This we hope to livestream online — check our Facebook page for latest updates. How has your training been this year, Chris? We have had decent training this year with good snow in the mountains and just dirt at home. I plan my last longer run approximately two weeks before race day. Then keeping everything short and happy! How will the new changes in mileages effect your race? Good question. I guess we will find out after day 8. Chris, why do you keep coming back to the Pedigree Stage Stop Race? It’s simple, it’s the best!